President Bush, Laura Bush: Tour of Bulguksa Temple with President and Mrs. Moo Hyun Roh (Yang-Sook Kwon). Gyeongju, South Korea. 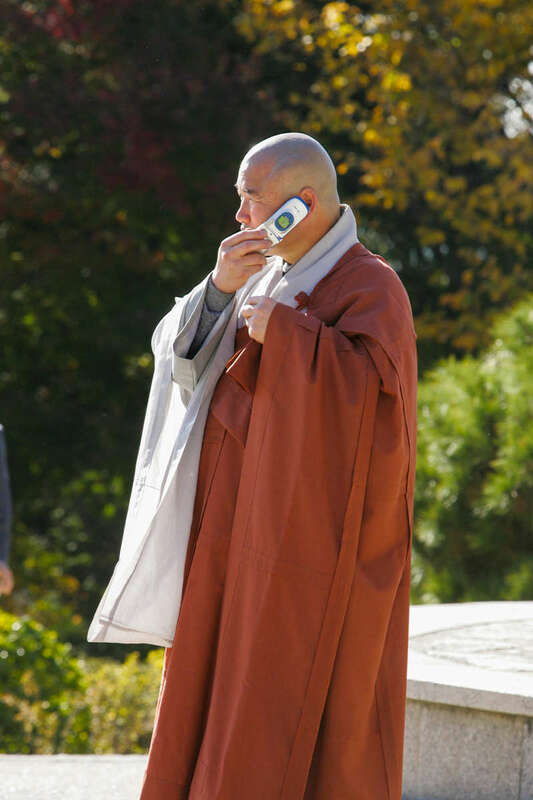 Monk on cell phone.